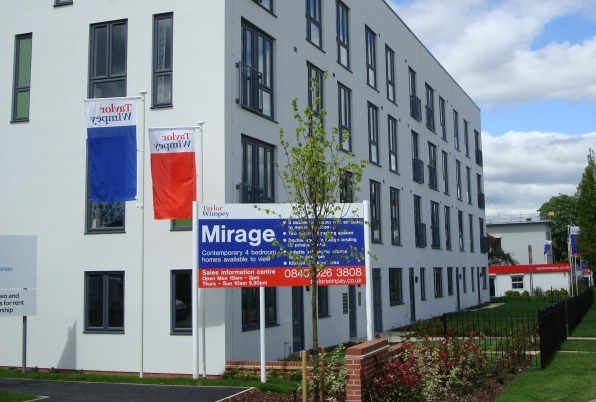 Mirage was the first phase of a larger regeneration project which ‘kick-started’ the wider revival of the area in Roche and set the standards for future development. Welwyn Hatfield Borough Council’s planning guidance documents and masterplan establish the principles for the regeneration project. As a result of the area’s industrial past, there were very few ‘green’ landscape features when we bought the site. However, the layout of the development sets the homes within a high quality landscape. Every resident has access to a number of well-designed public open spaces that are connected by a network of pedestrian and cycle routes. The open spaces include a tree-lined avenue running through the development, small pockets of existing planting that have been retained and improved, two multi-functional public open spaces, two children’s play areas, and an urban square. On this former industrial site, we have built a new residential quarter with a distinctive character. However, we designed the development to strike a balance between the character of the surrounding industrial buildings and that of the neighbouring residential areas. Flat roofs and large floor-to-ceiling windows give the homes an angular industrial look, while coloured render and balconies give a softer residential appearance. The design of the road layout includes off-street parking courtyards and undercroft car parks beneath apartment blocks. This prevents the roads themselves from becoming overcrowded with parked cars. A combined heat and power system, situated within one of the apartment blocks, provides 10% of the energy used by the apartments. Photovoltaic panels, that generate electricity from sunlight, have been fixed to the roofs of south-facing town houses. These sustainable technologies have a positive environmental benefit while also reducing residents’ energy bills. 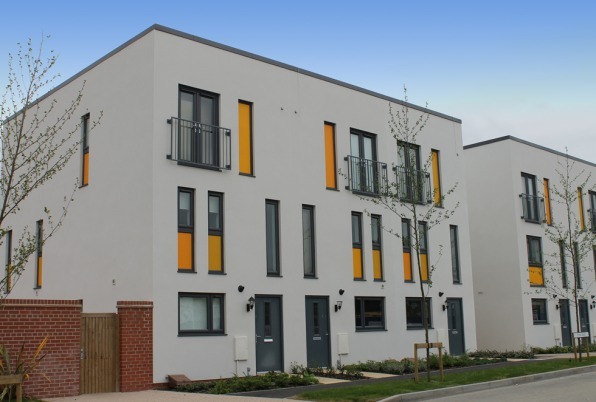 The homes also incorporate Lifetime Homes principles, enabling residents to adapt the homes as their needs change. As well as the now completed new houses and apartments, we will be bringing back into use a Grade II listed industrial building, in recognition of its architectural and historical significance. In September 2016 we submitted a planning application to Welwyn Hatfield Borough Council to convert the listed building into 34 high-quality apartments. Further information about this application can be found here.